By Leskov, Grigorvich, Nekrasov, Lermontov. The Leskov story ‘The Sealed Angel’ is the longest story here and it really is very intriguing. It follows the tribulations of a group of old believers and their dealings with the religous orthodoxy. There is much description of the iconography and the story is well told. I have been considering reading some Leskov for a while – I did once see the Shostakovitch opera ‘Lady MacBeth of Mtsensk District’ which was brilliant. Grigorovich also had a few stories here and they didn’t really do much for me. A little too heavy on the description and not enough substance. The poem by Lermontov was excellent as were the ‘poems’ by Nekrasov. I put ‘poems’ in quotes because they seemed prose to me – but that may have been the translation. I had wanted to read something by Nekrasov previously, due to his associations with both Belinsky and Dostoevsky, but he is known more as a publisher than a poet and works were difficult to find. Again this collection was read on kindle and downloaded from openlibrary.org – the advent of ebooks have opened up millions of novels and collections which were difficult to source and read previously. The ease of access means things can be read on a whim due to some random association – that has to be good. Lermontov was a romantic and enigmatic figure; some of this was brought about by revisionism after his death and the silence of many who knew him him best but mostly because of his poetic and somewhat heroic activities – which again we are viewing through a historical filter. Kelly does a good job of canvassing different versions of Lermontov’s actions and possible motives. Often these come from second-hand sources which could be more credible than the first hand sources that may have had an agenda. The biography is very engaging and the fact that much of Lermontov’s poetry is included in the text made for a very welcome surprise. The poetry, apart from ‘the Demon’, is quite difficult to get in translation. As always (similarly with Pushkin) you are left considering the ‘what if’ question. Could Lermontov have lived up to his promise – or would he have lost himself in dissolute living after being singled out by the Tsar for punishment as an example? These are questions that can never really be answered. We know he was thinking of two novel projects before he died in the duel, but he had also been considering other projects earlier in the 1830s which never came to fruition. Out of the army life he may have knuckled down and left society, as Pushkin did from time to time, to get some writing done. Unfortunately he never had the chance having aroused the Tsars displeasure for firstly, his poem in support of Pushkin. Secondly, a duel. Thirdly, his novel ‘Hero of Our Time’ which the Tsar didn’t appreciate. Fourthly, that despite his prodigious talent Lermontov wasn’t using it in the service of Tsar and Russia in the way that the Tsar would have liked. As Lermontov used up his second chance by engaging in a rash duel the Tsar wasn’t prepared to forget a second time despite Lermontov’s heroics in the the Caucasus. He was sent back again, and while recuperating in Pyatigorsk managed to cause offence to an old colleague with his ascerbic wit. This colleague Martynov then challenged him to fight the duel in which he died. You can blame the intervention of the Tsar for the death of Lermontov – sending him back to the Caucasus with little hope of his situation improving, but you can also take the view that Lermontov would have found some way to get himself into trouble again. If it hadn’t been this duel – it could well have been one in Moscow having been forgiven by the Tsar. Lermontov was still only 26 but what we can say is that his novel and poetry does not seem as though it is written by a young man. Lermontov had a precocious talent and understanding of existence despite his years. This is an excellent biography. There is so much that is exceptional about this novel that I don’t know where to start. 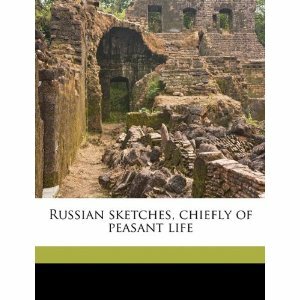 The structure is innovative in that you read Pechorin’s diaries later after you have been given stories about him from others either first or second hand. Because of this the original events have so many more colours than a flat narrative. The subject matter is romantic – an officer’s adventures in the Caucasus, but this isn’t artificial – this was Lermonov’s world. One of the greatest losses for literature must surely be that he died in a duel at age 26. This means he would have been writing ‘A Hero of Our Time’ from at least 24 – something I can’t quite fathom. The voice in this novel is so mature and the disillusionment so profound in some areas that it’s impossible to imagine how Lermontov could have been capable of this at his age. Unless of course, he was a genius and was therefore more creative, sensitive and perceptive than we mere mortals can conceive. Most writers have related ideas that they continue to examine or develop throughout their life. Unfortunately we only have this one novel from Lermontov. Through each standalone chapter the preoccupations of Lermontov are shown to be chance, fate and determinism mixed into a delicious cocktail and served with irony and sincerity in equal measure. The final story rounds these themes up perfectly – and you could say the reality of Lermontov’s life and its end completes the novel. I would rather it hadn’t. We know that Lermontov asked to be relieved of his military duties so he could devote himself to writing but this was refused by the authorities and the Tsar. The Tsar hated ‘A Hero of Our Time’ and on hearing of Lermontov’s death he is reputed to have exclaimed “A dog’s death for a dog.” Well, this ‘dog’ Lermontov is still read widely and his preoccupations and examinations of life and living are still relevant today. As an aside, I was watching the Bergman film ‘The Silence’ last night when I noticed the young boy in the movie was reading the Swedish translation of ‘A Hero of Our Time’. I’m not sure why Bergman put this in, particularly in the hands of a boy of 8 or so. Apparently it also features in his film ‘Persona’ as well. There’s an article that might explain this called ‘Images and Words in Ingmar Bergman’s Films‘ – however the domain seems to be down at the moment. The best book I have read for a long time, and I might read it again in a week or so. Maybe reading ‘A Hero of Our Time’ should become an annual occurrence.